Ironically, the best way for a tourist to have an “authentic” experience is to avoid other tourists and spend more time with the locals. Regretfully I was not interacting much with true natives since Chiang Mai is a very touristy city. In fact, Thailand is one of the top ten tourist destinations in the world and the second most visited country in Asia (after China), according to the UNWTO. Breakfast. 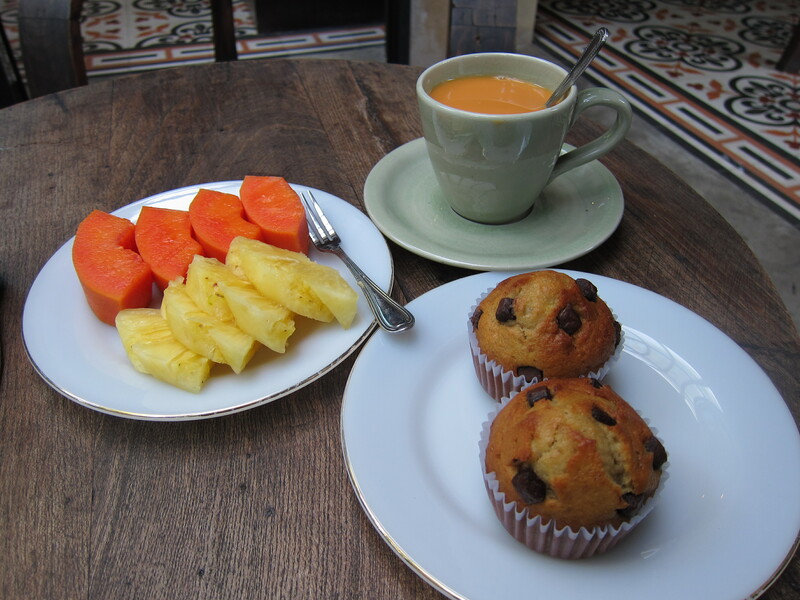 Fresh papaya and pineapple, a strong Thai-style tea, and banana chocolate-chip muffins. 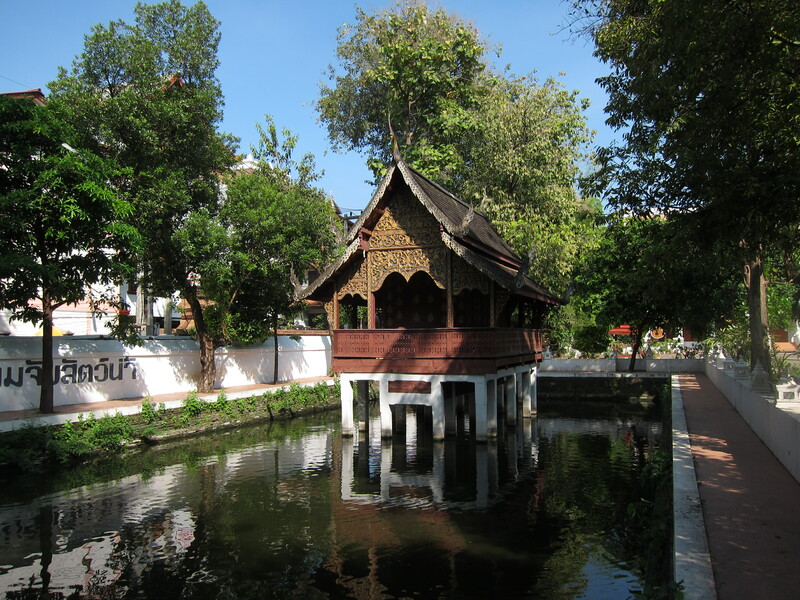 Both in spite of and because of its touristy nature, Chiang Mai is a very comfortable place to hang your hat for a few days or weeks, if not longer. The weather is pleasant, the cuisine diverse and tasty, and the wats are peaceful. It is relaxing and fun to stroll aimlessly or cycle around the old city. There are used book stores with loads of titles in English. Wifi is everywhere, even in the wats. With all these amenities, it is still easy on the wallet. 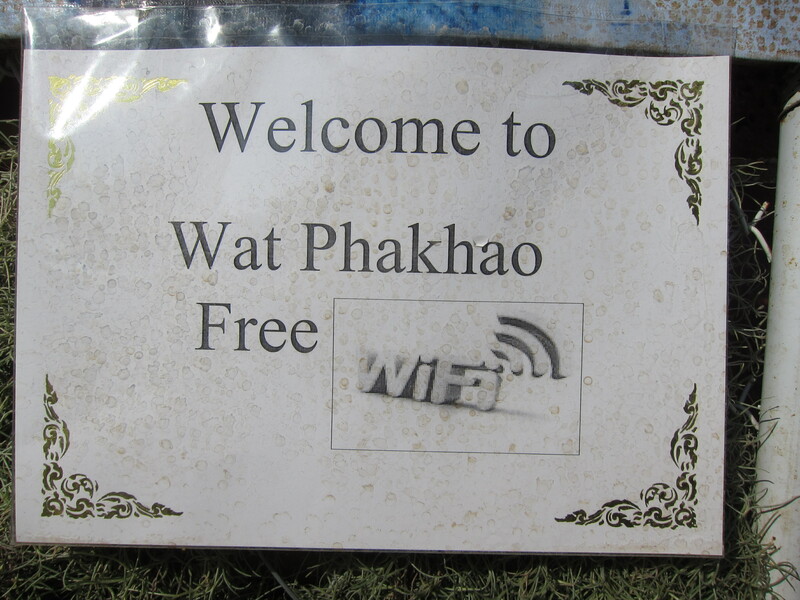 Free WiFi at a Buddhist Monastery! I explored the option of visiting a few other destinations in Thailand, such as Pai and Chiang Rai, recommended by other travelers. Based on my research I suspected that these places would also be full of tourists, so I opted not to go. One possible exception was Phrae, which I was thinking of visiting after Chiang Mai before I made my way to the Thai-Myanmar border. I anticipated having more interesting and novel experiences in Myanmar which only recently opened its doors to international tourism. I downloaded some books that I thought would help me prepare for my travels in Myanmar. A Bike Tour in Myanmar recounts the recent 12 day journey of two middle-aged women riding a tandem bicycle through Burma. While I was not planning to do a bike tour, much of the practical and cultural information provided by the authors would be useful to both the bicycling as well as biped independent traveler. 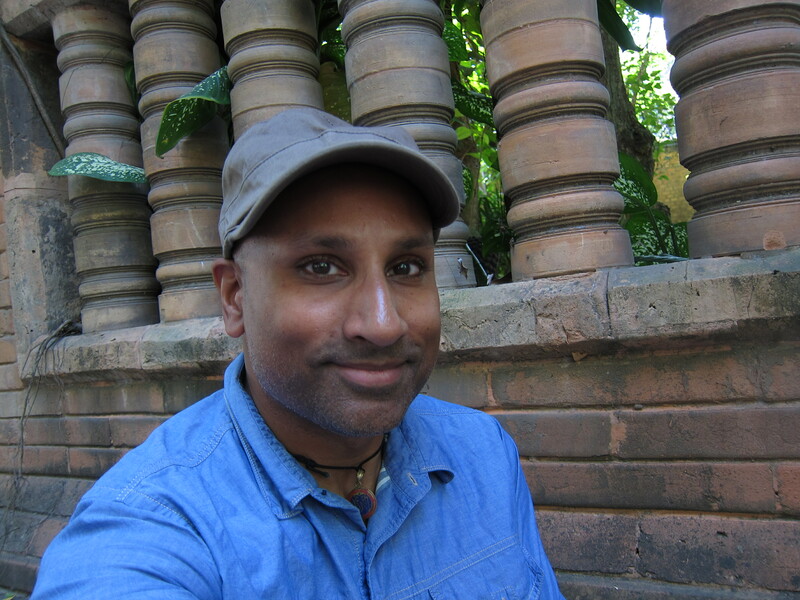 Selfie with terra cotta background. You look very happy and relaxed!